Dzikwa Trust Fund, employing a small number of recruited staff, is responsible for the practical application of our activities in the field. Dzikwa is an abbreviation of Dzivarasekwa and means ”strong foundation” or ”well rooted” in the Shona language. Established in 2002, Dzikwa Trust Fund has the task of planning, managing, implementing and controlling our child support activities. Zimbabwe’s Aids-Orphan Society channels all donations it collects directly to Dzikwa Trust, which is a major contributor to securing orphan’s schooling and well-being in Dzivarasekwa, as well as a major employer in this poor suburb. People rely on Dzikwa in many ways and schools and children’s caretakers know Dzikwa well. 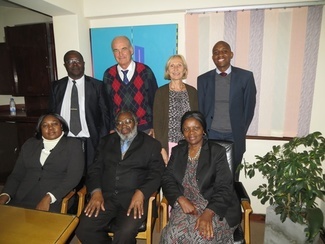 Finnish founders and project leaders Seppo Ainamo and Oili Wuolle lead the Dzikwa Trust Foundation’s operational team in Zimbabwe. 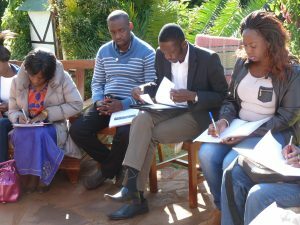 In addition, Dzikwa’s operations frequently include volunteers and interns. Dzikwa also employs 5 kitchen staff, 4 security guards, 2 cleaning personnel, a field worker in forest, and another employee. The chair of Dzikwa Trust was chaired by Stephen J. Chifunyise , former Secretary of the Ministry of Education, cultural artist and country’s most famous playwriter. The Board of Directors also includes Kantor & Immman’s shareholder and lawyer Unity Sakhe as a secretary, Chairman of the Friends of Dzikwa Society, Marah Hativagone , Business Manager Paxina Parirenyatwa and the founder and leader < Seppo Ainamo . Local Authorized Auditors (Registered Public Auditors), Ralph Bommnet, from Greenacre & Reynolds is responsible for checking Dzikwa Trust accounts.